If your future includes a move, check out Meathead Movers! Our professionally-trained student-athlete El Cerrito movers, moving concierge, and Princess Packers are prepared to get you safely moved into your new El Cerrito home. Welcome to Meathead Movers of El Cerrito! Our professionally trained student-athlete El Cerrito movers and moving concierge service are here to help you with every stage of your move. 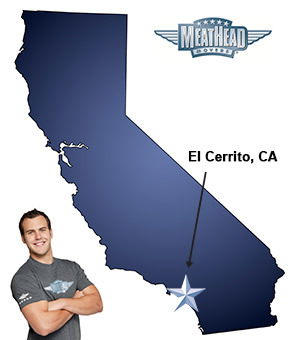 So if you are moving to or from anywhere in El Cerrito, Meathead Movers is the moving company for you! El Cerrito is a small northern California town located in Contra Costa County. Being a part of the greater San Francisco Bay Area, it is just a short trip away from big cities like San Francisco and Oakland, but still offers all the benefits of a small town. When you move with our El Cerrito movers, you will quickly feel at home and ready to begin exploring all the city’s offerings. For those interested in the arts, you can check out West Edge Opera and the Contra Costa Civic Theatre. The town also has plenty of parks to explore, and fine shopping and dining to enjoy. If you are considering a move to the area, Meathead Movers is here to help. Our experienced we specialize in all aspects of moving, starting with packing or storage and including local and long-distance moves. We can also be contracted to conduct on-site relocations and any number of commercial moves. All our student-athlete movers are thoroughly screened and trained before their first move. With branches throughout California, we are your one-stop resource for all your moving needs no matter where your California move takes you. We have been revolutionizing the moving industry since 1997. When you entrust your move to Meathead, you can rest assured knowing that your move will be a success because our professionally trained student-athlete El Cerrito movers are the best movers the industry has to offer. In fact, you can see what your neighbors have to say about us! With our 100% satisfaction guarantee, the only thing you have to lose is the stress that comes from moving! Contact Meathead Movers today for a free moving quote, and learn how we can help you on your next move! Moving to El Cerrito? Here are some helpful resources. View more El Cerrito resources. My assigned student movers were very professional, courteous and careful. I appreciate their diligence.